At Bryan Electric, Inc., our Johns Creek electricians serve areas in and around Alpharetta, Georgia, are they are highly trained and experienced. They are qualified to provide any electrical service or repair you may need. The training and licensing process is more extensive than you may realize and reflects our commitment to our profession. There are five primary specialties within the profession: residential, industrial, light industrial, commercial and VDV (voice-data-video). We have employees trained and experienced in all of these areas. This variety is rare for an electrical company, as most specialize in only one or two areas. We train our electricians, as with other electricians worldwide, according to the apprentice-journeyman-master system. They start out as apprentices, during which time they undertake hundreds of hours of classroom instruction and work under more experienced electricians for several years. Once they’ve completed this phase, they become journeymen. Journeymen work under the direct supervision of masters. Their training is practical and learned by working rather than studying. After another five years or so, journeymen can become masters. Master electricians must demonstrate a thorough knowledge of their craft and have a record of successful and safe work. They also have the responsibility of training younger electricians. 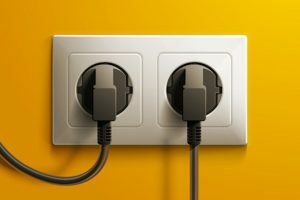 The licensing process our electricians go through is the same as all other electricians in the State of Georgia. In the United States, licensing is the responsibility of the states, not the federal government. The State of Georgia has strict licensing requirements based on education and experience. All of our electricians are properly licensed. Our masters hold permits that allow them to supervise the journeymen and apprentices working under them. They each have to complete thousands of hours of on the job training before progressing further towards the master’s license issued by the State of Georgia. We comply with all local, state, and federal regulations regarding the licensing of electricians. The laws in Georgia are stricter than in many other states, however, we welcome this because we believe strongly in training and education. It ensures that electricians are safer and more efficient. Are you in or near North Georgia? Give us a call at (770) 680-2144. We are located in nearby Alpharetta, Georgia, and serve the surrounding area. Our training and education have prepared our Johns Creek Electricians to take on any electrical job. Therefore, we are happy to help with any electrical issue, no matter how big or small. We will come out to your location, perform an inspection, and give you an estimate. In addition, we can start work right then and there if you choose. If not, we are happy to start work at a date and time convenient to you. Our team at Bryan Electric, Inc., is ready to go to work to meet your electrical needs.